Drained German utility RWE may have finally found a way to recharge itself – by adopting and refining an idea developed by its domestic rival E.ON a year ago. Both utilities are struggling with split personalities. On one side are shrinking conventional power generation assets. On the other, attractive renewables, grids and retail. While E.ON will split into two legally independent companies, RWE wants to keep control over both arms. 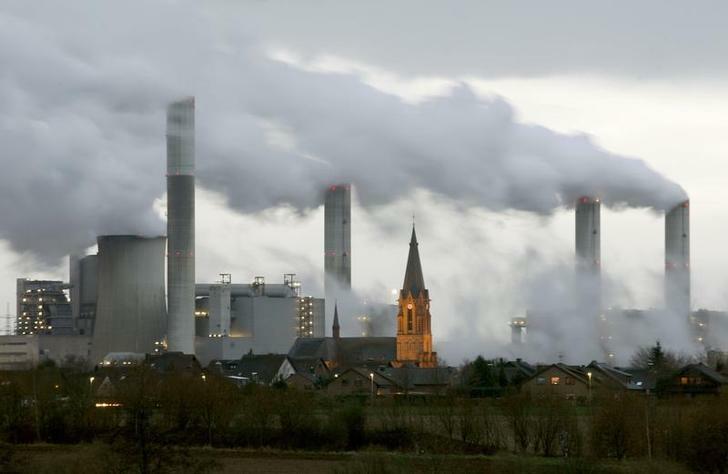 But the premise is the same – keep to one side the dirty old bits, which in RWE’s case are nuclear and coal, and create something that can raise capital more easily, and enjoy a higher trading multiple. The move is actually more than mere repackaging. Cash-strapped RWE currently lacks the financial firepower to participate in the strong growth of green power. In early 2015, Chief Executive Peter Terium cut the budget for investment into renewable sharply. Raising new equity would have been painful, especially for the German municipalities that own a quarter of RWE’s stock. Putting the good parts into a new entity, and selling about 10 percent in an initial public offering, looks like a smart workaround. RWE’s existing shareholders will still own 90 percent of the spun-out company. Then there is the valuation alchemy. RWE’s renewable, grid and retail businesses have decent growth outlooks and less debt. Grids are stable and usually have little competition. Similar companies like the UK’s National Grid or Spain’s Red Eléctrica are trading on enterprise values of just over 10 times next year’s EBITDA, according to Eikon, twice what RWE fetches. If the spun-out business could split the difference at 7.5 times, its implied enterprise value of 33.8 billion euros would be 7 percent above RWE’s valuation on Nov. 30. There is a catch. RWE will be left with around 10 billion euros of nuclear liabilities and debt, giving it a strong incentive to sell down its 90 percent stake later. That potentially huge stock overhang is likely to weigh on the new company’s share price. But a separate structure can make things cleaner, in all senses. RWE said on Dec. 1 it wants to put its renewables, grids and retail businesses into a separate entity, about 10 percent of which it aims to place in an initial public offering at the end of next year. Germany’s second-largest utility said the IPO, to take place along with a capital increase, could result in the sale of additional stakes in the new subsidiary “at the same or later point in time.” Shares in RWE gained 13.3 percent to trade at 12.34 euros as of 1521 GMT.